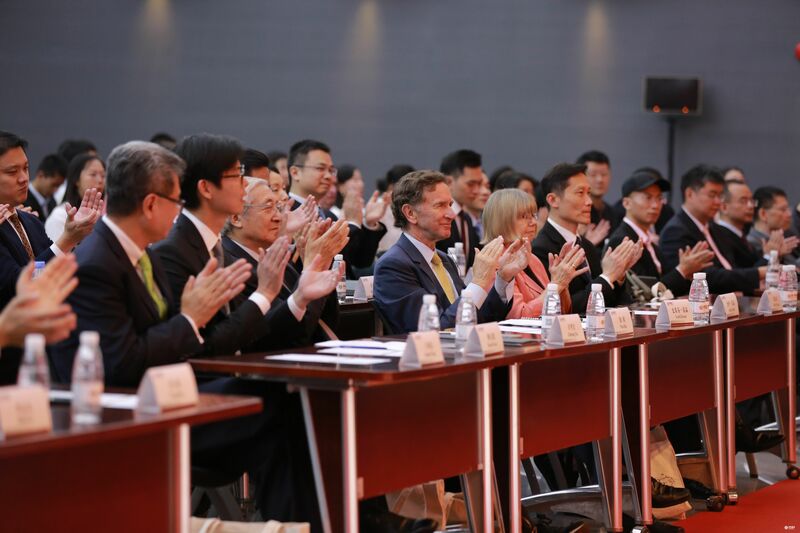 Peking University HSBC Business School grandly celebrated its 10th Anniversary of Naming Ceremony on December 1, 2018, with the participation of Stephen Green, Lord Green of Hurstpierpoint, former Group Chairman of HSBC Holdings plc, Zhihong Xu, former President of Peking University, PHBS Dean Wen Hai, David Liao, President and CEO of HSBC China and other distinguished guests, gathering at PHBS grand hall to usher in a brand new chapter for mutual cooperation. 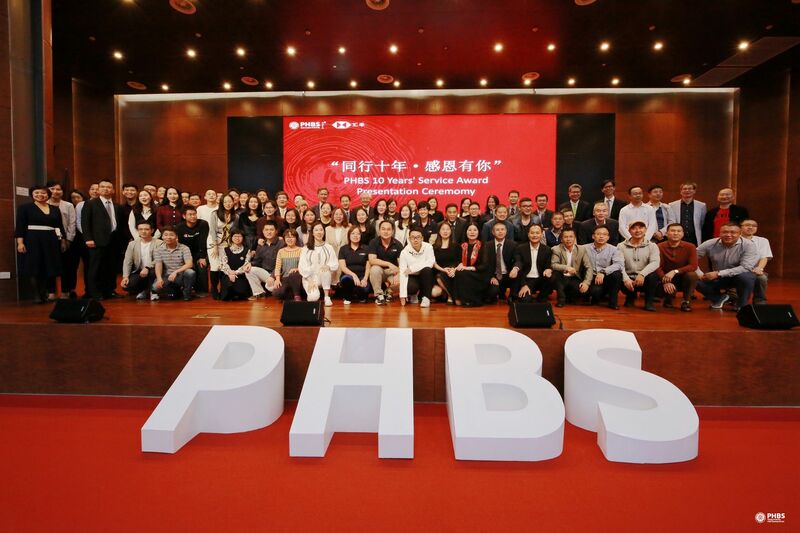 The past ten years have witnessed the development and collaboration between PHBS and HSBC. 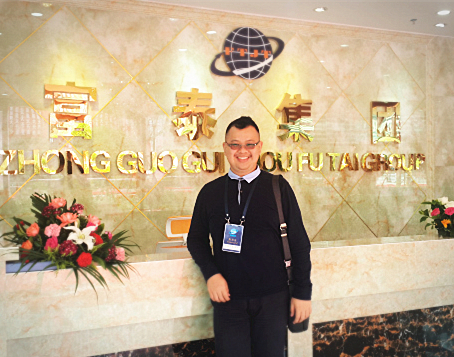 The school was firstly named Peking University Shenzhen Business School. 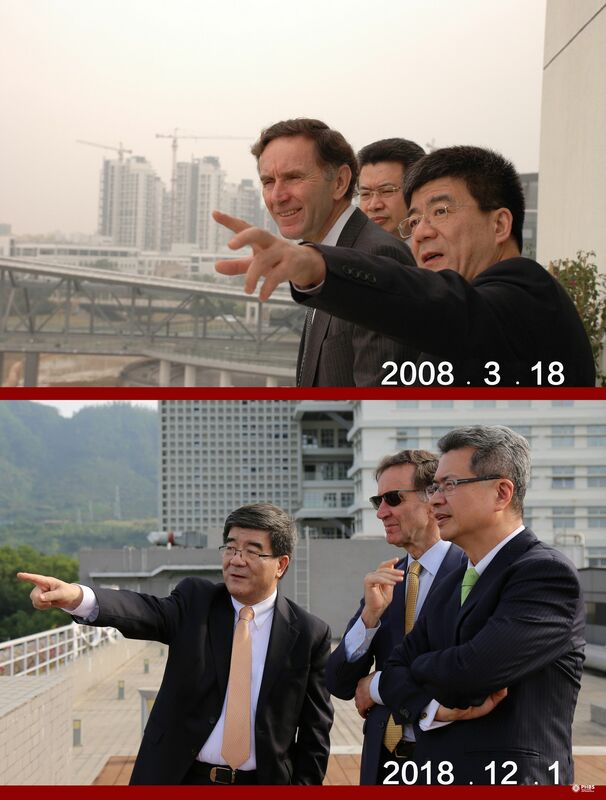 On August 30, 2008, HSBC donated 150 million RMB to the construction of Peking University Business School. 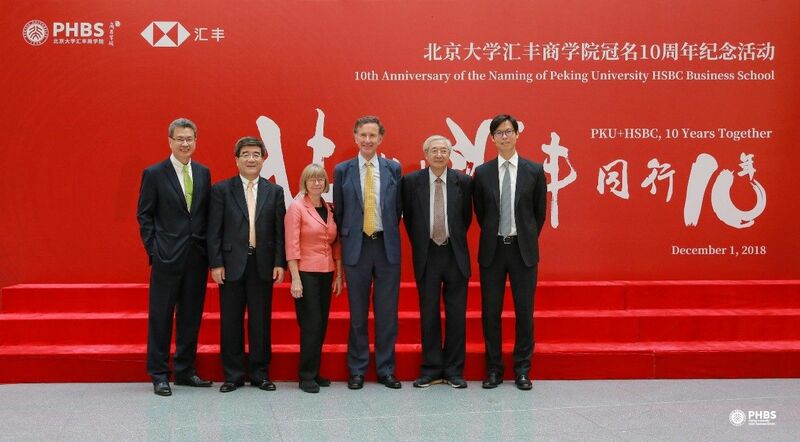 The school then officially renamed itself as “Peking University HSBC Business School”. 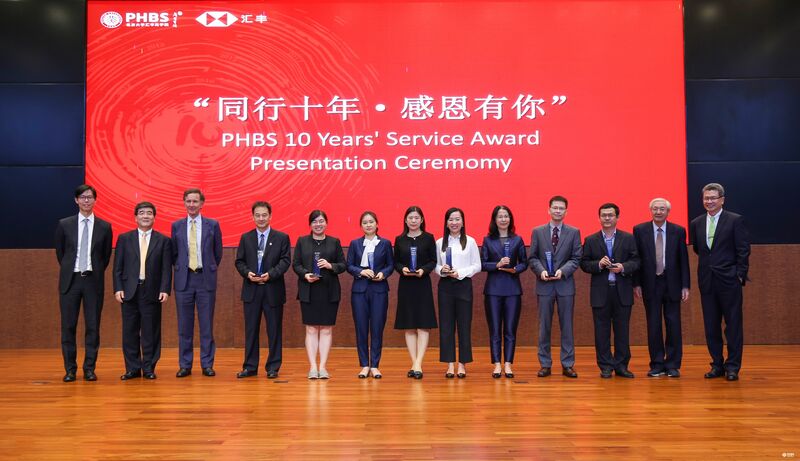 After the 10th Anniversary video, PHBS Dean Wen Hai gave a speech to recall the memories about the past decade, he emphasized that the achievements were jointly made by HSBC’s foresight, PHBS’s academic strength and their keen cooperation. 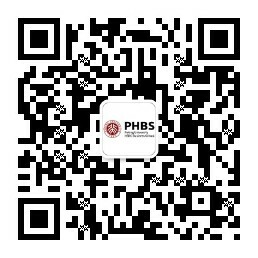 PHBS would further the prosperity in broader fields. 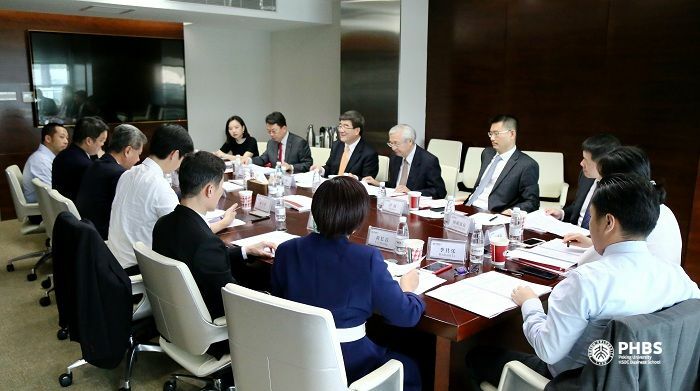 With the ever deepening mutual cooperation, PHBS and HSBC will create a better future. 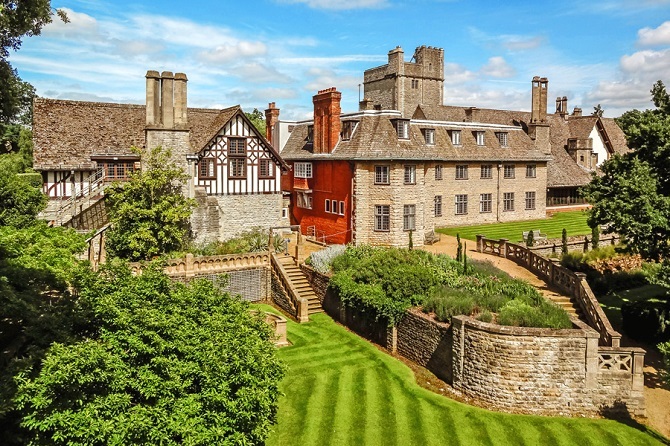 Stephen Green, Lord Green of Hurstpierpoint firstly retrospected the naming ceremony in 2008, then pointed out the challenges of financial areas and the essential roles which PHBS has been playing in diversified business leader cultivation. He appraised the collaboration between HSBC and PHBS, and hoped to celebrate the 20th anniversary of naming ceremony. 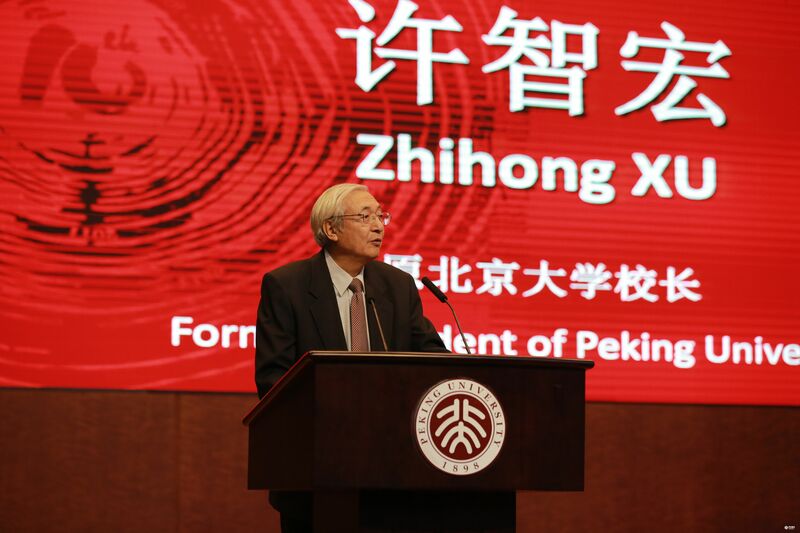 Zhihong Xu, academician, former President of Peking University delivered a speech. He appraised PHBS’s achievements which including its internationalization, UK Campus and AACSB accreditation. 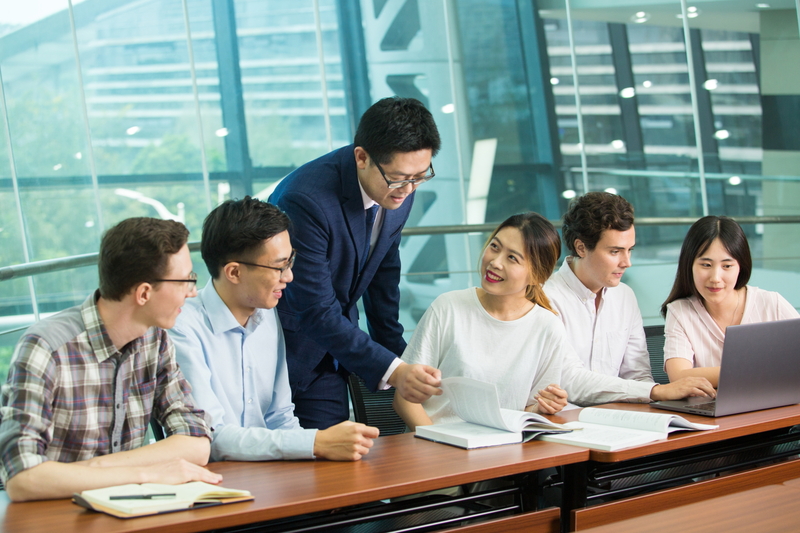 He believed that PHBS would play a crucial role in PKU’s development and push forward the innovation and development of China’s business education. 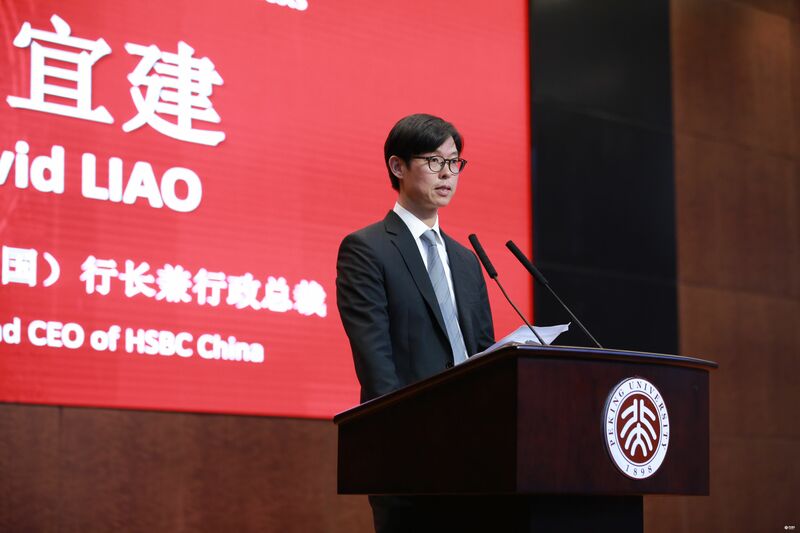 David Liao, President and CEO of HSBC China gave a speech on the collaboration. As he said, for a university that has thrived for generations, ten years was only a small milestone. 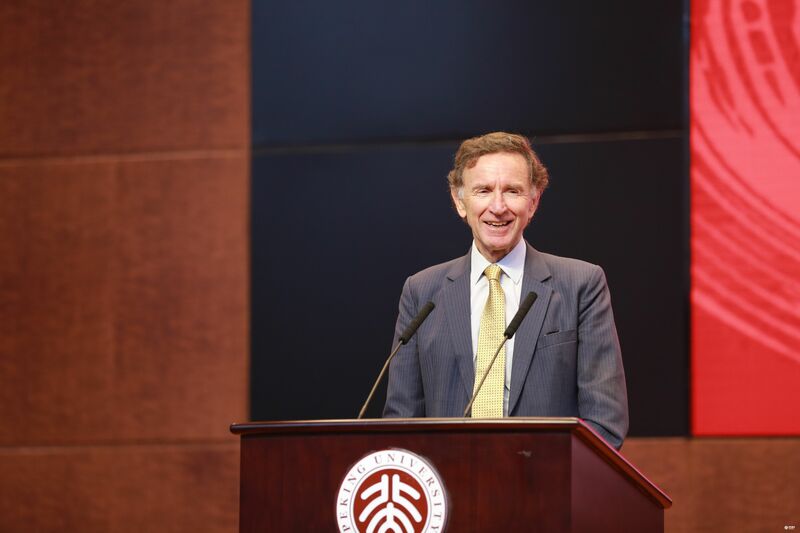 The kinship between the mission of the Peking University Business School and HSBC’s strategy in Southern China was why he believed the collaboration had been so fruitful. 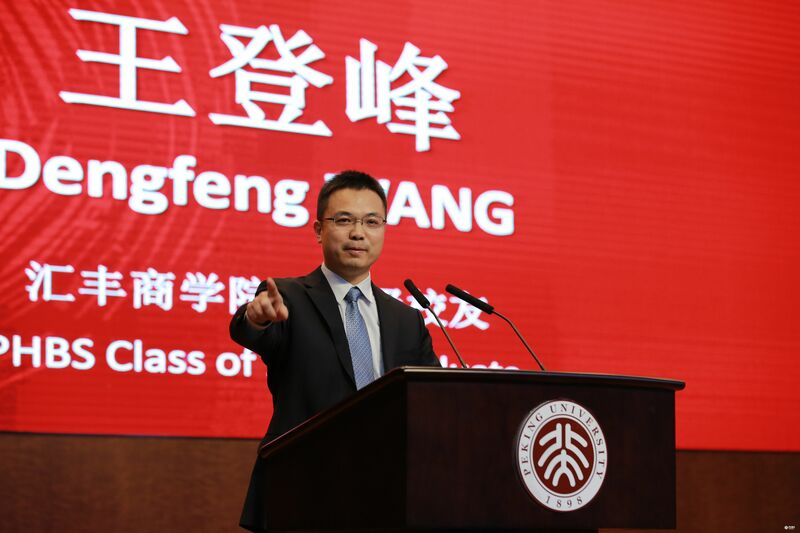 Dengfeng Wang, PHBS alumnus of Class 2006, Fund Manager of Tianhong Asset Management talked about the high standard, strict discipline which the school brought to help students in vision shaping. He also extended his gratitude to the school and thanked all the endeavors made by faculty, staff and students for making the school better and better. 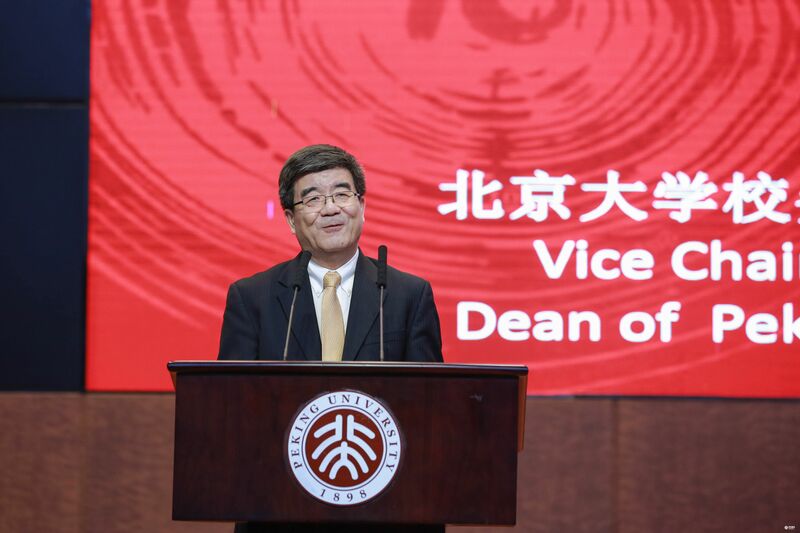 In the special sector of awarding, eight faculty and staff members were awarded for their past ten years’ hard work, they were: Professor Wei Wei, Professor Zhiyong Tu, Xiaotian Hu, Yunyun Hu, Shiyu Liu, Quan He, Fanshan Zhang and Jinhui Wu. MA, MBA, EMBA and EDP programs also held home-coming activities for PHBS alumni respectively.